Our clinic has the facilities to provide individual cremation and have your pet's ashes returned to you within 7-10 days. You can count on us to treat your best friend with nothing less than compassion and dignity. Whether you’ve had your companion for years or just a few months, we believe that all pets deserve to be treated ethically with respect and dignity after they pass on. 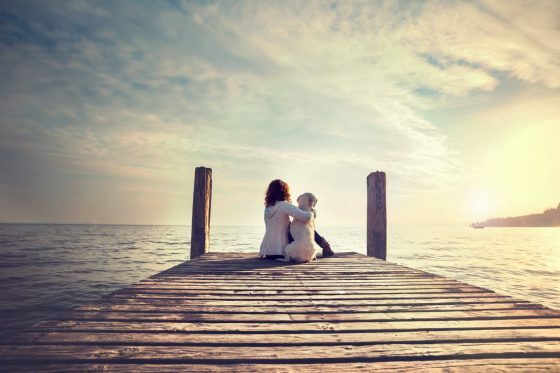 Losing a pet is a very traumatic time for anyone, sometimes you may know that the time is coming near and you can plan ahead as to what you would like to do for their final resting place. On other occasions the decision is sprung upon us and it is very difficult to take everything in at once. You may choose to take your pet home for burial or you may choose to make private arrangements, but if you prefer we do offer a cremation service. To keep the service as affordable as possible the ashes are contained within a drawstring bag inside a biodegradable box. 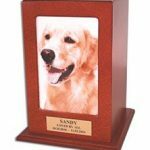 For a more personal tribute to your pet explore our range of engraved wooden boxes or scatter tubes. Please feel free to source and provide us with your own vessel for your pet’s ashes should you prefer. These attractive and eco friendly scattering tubes are designed to simplify the process of scattering your pet’s ashes. They don’t contain any metal or plastic components and are biodegradable. on the size of your pet. photographs. Your photo can be placed behind the glass panel by removing the base of the box. 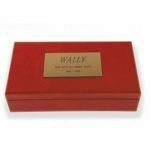 These boxes include engraving of your pet’s name and two additional lines.